Food franchises are some of the most popular concepts in franchising. But are they the most lucrative? Typically, food franchises require significant investment to get up and running and continued capital to operate over time. But for those who like the fast pace and an ever-changing atmosphere, owning a slice of the food industry is an exciting prospect. If that sounds like you, here are some financial considerations to keep in mind before you buy. Average Income is $122,000. Research from Franchise Business Review shows that the average annual income of food franchise owners is $122,343 for those in business at least two years. That said, averages can be misleading. The median income is around $88,469 (top earners skew the average higher) and 32 percent report annual incomes below $50,000. And those top performers – those earning $200,000 or more – represent just 18 percent of food franchise operators. It is important to note that franchisees from food brands on our annual Top Food Franchises list, report annual incomes 15 to 20 percent higher than average. The Most Lucrative Franchisees are Often Multi-Unit Owners. The top performers in the food sector, who represent the top 20 percent of the franchisee universe, are typically multi-unit owners. They have been hugely successful with their franchises, building successful teams around them and growing to multiple locations over time. Multi-unit food franchise owners report median annual incomes of $138,000, with 35 percent earning more than $200,000 a year. Just remember, these franchisees are the exception, not the rule. There is a Difference Between Business Profit and Owner Income. Prospective franchisees often confuse a business’s profits with their potential annual income/salary. As a business owner, before you can “pay yourself,” you often have to pay business taxes, debt repayments on loans, and reinvest in your business (that new piece of equipment you need, or the new signage you’re required to buy, for example). While your business may grow to be quite profitable, your actual take-home income could be substantially lower. The Big Picture is Telling. While many food franchises report relatively high unit-level sales, and/or profitability, it is important to look at the whole picture when considering a franchise investment. For example, a food franchise may offer slightly higher profitability compared to other businesses, but if the initial investment is three times higher, your overall return on investment might be significantly lower. It’s important to look at your total investment over the length of the entire franchise agreement and what the business will be worth when you decide to ultimately sell. Understanding your annual income potential is important, but you are hopefully building a valuable asset in your new business that will have the biggest impact on your return on investment. Being Well Capitalized is Critical to Success. The importance of a new franchisee being well-capitalized cannot be overstated. Food and beverage franchise operators often say that one of the biggest issues new franchisees run into is managing the wild cash flow swings associated with operating a new business. A new food franchisee must be prepared for the unexpected and have significant working capital at the ready should they need it. Start your franchise journey today by prequalifying now. Median Initial Investment is Typically High for Food Franchises. Investing in a food franchise starts at under $100,000 for some kiosk and retail distributors models, and can be as much as over $2 million for a full-service restaurant. The median initial investment for a food franchise is $469,000, according to Franchise Business Review data. Financing Help is Available. Although the initial investment can be high for a food franchise there are many financing options available including the franchisor. The franchisor may offer franchising and/or be able to introduce you to lending partners who understand your needs. There are also many different types of loans including Rollovers for Business Start-Ups (ROBS), SBA Loans, Portfolio Loans, Unsecured Loans, and Equipment Leasing. Getting a Loan for a Franchise is (Typically) Easier than Getting a Loan for a Start-Up. Because a franchise is a proven and tested business model, banks are more willing to lend to franchisees versus entrepreneurs who are seeking money for a new idea that has not yet been tested in the market. Don’t Forget About Fees. When you buy any franchise, be it a food franchise or any other franchise, you will be required to pay certain fees. In addition to the initial fee or “franchise fee” (typically a flat rate), there are ongoing fees, which usually include royalty fees and advertising and marketing fees. Veterans May Qualify for Discounts. Many franchise brands offer incentives and discounts for veterans. Some brands, like Mathnasium, offer veterans as much as 25 percent off the initial franchise fee. Ready to learn more about purchasing your own food franchise? 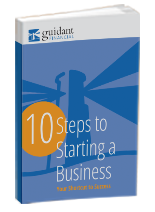 Franchise Business Review and Guidant Financial are here to help. To get the latest reviews and ratings on today’s top franchise brands visit www.franchisebusinessreview.com. Or see what franchise financing you prequalify for today with Guidant’s simple prequalification tool. Sarah Brady is the editorial director at Franchise Business Review, the only independent market research firm that specializes in benchmarking franchisee satisfaction based exclusively on ratings and reviews from franchise owners.